I got pegged in the face with a ruler and I have a fairly painful fat lip to show for it. 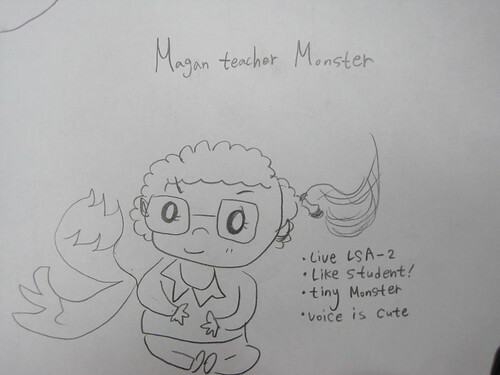 A student drew this picture for me. I’m still not sure whether it’s complimentary or not. 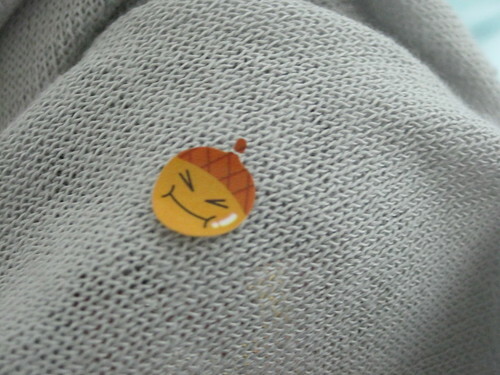 When I got into the elevator in my apartment building I realised that I had a sticker stuck to my sweater. Even better, it’s a constipated acorn sticker. I’m going to file today under “You win some; you lose some.” I just haven’t decided if it’s a win or a loss. Not to alarm you, but I think your arm is on FIRE! Hi! Please let us know you are still alive!! !